A long-established firm of Derbyshire accountants is praising the arrival of fibre broadband, saying it’s a “great addition” for any small business. It’s 34 years since ‘Lilleker and King’ in Clay Cross, near Chesterfield, opened its doors with just a phone, electric typewriter and paper-based accounts. Fast-forward to 2016, and the arrival of fibre broadband thanks to the county council’s Digital Derbyshire partnership with BT, is already transforming the way they do business. Owner, Andrew King, explains: “Upgrading to fibre-optic broadband has really helped our business become much more productive. “I live three miles away in Ashover, where Digital Derbyshire also put fibre broadband in place, and now I can log into the office server at home and do more work in the evenings. We also have seven computers in the office so we needed a fast connection to allow everyone to be online at the same time. “Downloading large files was a real issue for us before we upgraded to fibre – it could take up to half an hour sometimes but now we can access the same documents in minutes. “It’s definitely worth upgrading. There are a lot of benefits and it only costs a few extra pounds each month. We’re now looking into video conferencing and online training packages. More than 6,300 homes and businesses in Clay Cross can now benefit from the new fibre technology, thanks to the multi-million pound Digital Derbyshire partnership between Derbyshire County Council, BT and Broadband Delivery UK (BDUK). Twenty green roadside fibre cabinets have been installed in the town and more than 25km of fibre cable laid underground as part of the work. Across the whole county, around 90,000 homes and businesses now have access to fibre broadband thanks to Digital Derbyshire’s programme. 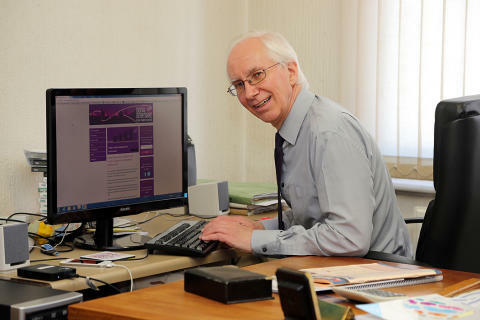 Derbyshire County Council’s Cabinet Member for Highways, Transport and Infrastructure, Councillor Dean Collins said: “The internet plays such a big role in our daily lives, whether it’s at work or at home. So it’s great news that Digital Derbyshire has already provided access to better, faster broadband to around 90,000 homes and businesses across the county. Fibre broadband, now available in many areas of Derbyshire, helps make everything happen online much faster than a standard broadband connection. The technology offers download speeds up to 80Mbps. Work taking place as part of Derbyshire County Council’s partnership with BT is being carried out by Openreach, BT’s local network business, meaning people with access to the fibre network can choose from a wide range of internet providers and competitive pricing. The Digital Derbyshire project is being funded using £15.2 million from BT, £5 million from Derbyshire County Council, £9.7 million from the Government’s Broadband Delivery UK fund, £2.5 million from the European Regional Development Fund and £2.2 million from the D2N2 Local Enterprise Partnership. To find out more about Digital Derbyshire, visit www.digitalderbyshire.org.uk.